Days after the government of Japan announced that it had killed 30 minke whales in the northern Pacific this year, the U.S. has reaffirmed its stance against the practice. "Lethal scientific research whaling is unnecessary in modern whale conservation and management. Generally, the same scientific information can be collected through non-lethal means. 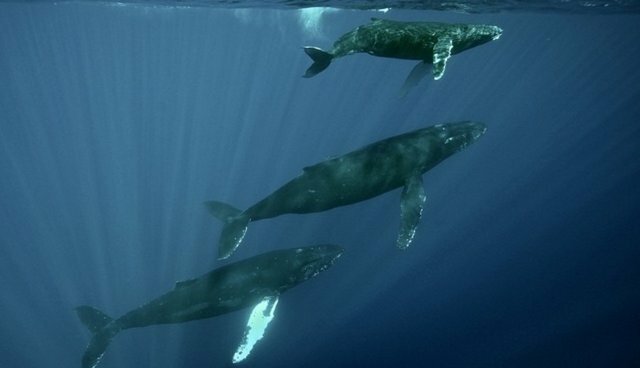 The United States continues to support the moratorium on commercial whaling as a necessary measure for the conservation of large whales." The statement echoes that of Caroline Kennedy, U.S. Ambassador to Japan, who tweeted back in January about her opposition to a different cetacean hunt in Japan -- the dolphin drive fisheries in Taiji. When asked about her tweet, Kennedy told the Today Show that she had "no regrets." "That was a US policy. I hope I'm an effective ambassador, and sometimes that means working behind the scenes and sometimes that means speaking out." Now, the U.S. joins countries like Australia and New Zealand, who have both expressed opposition to the country's whaling program. Australia (with New Zealand's support) even brought a lawsuit against Japan over the Antarctic whaling program that culminated in the hunt being called "unscientific" and ordered to halt.